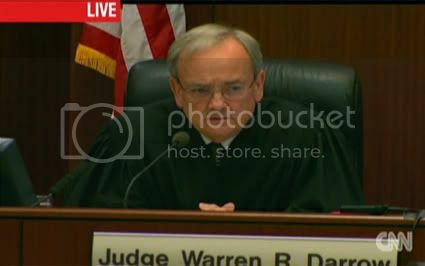 This morning Judge Darrow heard arguments about the prosecution's decision to call Richard Haddow this week. I read the defense's motion to preclude Haddow as a witness last night. After reading their fairly solid legal arguments, I determined this to be a stunt on the part of the prosecutors. I don't think they ever thought they'd get Haddow into the courtroom. They're just calling the defense team's bluff. As I expected Sheila Polk argued that they needed to call Haddow because the defense team has twice referred to Haddow's "report" when cross examining witnesses, even though they never intend to call him as a witness. She also attempted to leverage the fact that they relied on the Haddow material to block further testimony on prior sweat lodges, including the 2005 Daniel Pfankuch incident. They did not get the 2005 sweat lodge admitted but Judge Darrow reaffirmed his ruling that the defense cannot invoke a report with a witness who is completely unfamiliar with the source document. So, now the defense is reinforcing the prosecution's statement in its response to the defense claim of a Brady violation. Haddow was unqualified. There was also no actual report, as per the much disputed claim of the prosecutors. What he said in his email was preliminary. He was not given materials by the State to test his hypotheses because they were uneasy about hiring him and paying his rather substantial rates. There's a good write-up on some of the central points of the defense's motion here. The reasons the defense laid out seem like fair justification for their not calling Haddow or wanting him called but there are others. I've only skimmed the transcript of their recent interview with the man himself but a couple of things jumped out at me. Their long list of contacts between Haddow and Det. Diskin turn out to be comprised mostly of attempts by Haddow to get information to use in his investigation for Liz Neuman's civil attorney. The State took very little information from Haddow and shared very little information with him. The email that the defense wants to call a report, they now admit was very preliminary. It also turns out that it was based on information that he was later told by Diskin was incorrect. The diagrams had the directional orientation wrong in their earlier reports. Most importantly, Haddow's opinion places the responsibility for carbon dioxide poison solidly on Ray because he packed too many people in the sweat lodge and the intense temperatures created a greater than usual heat barrier which cut down on circulation even if when the door was open. He also said that if the door were left closed, even an unheated structure that size, with that many people, it would cause people to die of carbon-dioxide poisoning in a couple of hours. Of course this also explains why it has become so important to the defense to try to sneak a terms and conditions document into evidence that shows Angel Valley offering a sweat lodge facility to accomodate seventy-five. Never mind that that's the structure they're stuck with because that's what Ray demanded. I would call that the Hamilton's trying to turn lemons into lemonade but that's just me. Last week, after Michael Hamilton's cross examination, I read an article in The Daily Courier. Mark Duncan had a very different take on Hamilton's testimony than I did, which is his right. Obviously, there are a lot of people who don't trust the Hamiltons for a range of reasons, which is also perfectly fair. Duncan's coverage, however, is not so fair, right from the lede. 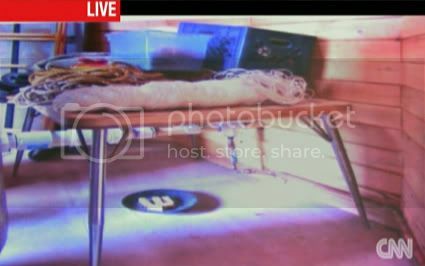 Staged photographs of rat poison, evasive non-answers to seemingly simple questions and implied immunity from criminal responsibility were the highlights of Michael Hamilton's second day on the witness stand Friday in the manslaughter case against motivational speaker and author James Arthur Ray. Your reference to "staged photographs of rat poison" is misleading. There was one staged photo that never purported to be anything other than a recreation of how it would have looked in 2009. The other photos of rat poison on plates were taken before the sweat lodge disaster and subsequent investigation, as a method of cataloging the rat activity and determining what poison was working best. Those photos are darkly fascinating, date stamped, and should put an end to such speculation that the Hamilton's blue plate special photo was not representative of the way they contained rat poison. In short: They've always served the rats their poison on a plate. And I agree with richard sam. Asking "simple" questions appears to be against Truc Do's religion. I've never heard her ask a question that wasn't ten times more obfuscatory than anything that might issue from even the most evasive of witnesses. Yesterday, was one of her most confusing cross examinations yet. I still have a headache. 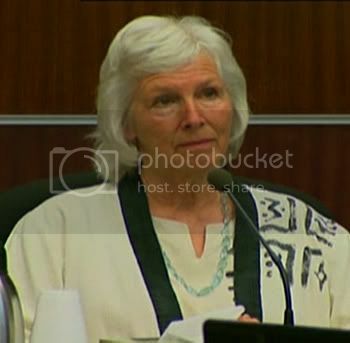 Sheila Polk has clarified the "staging" of the rat poison photos in both her direct examination and in the redirect. The only "staged" photo was a recreation at the request of Det. Diskin. 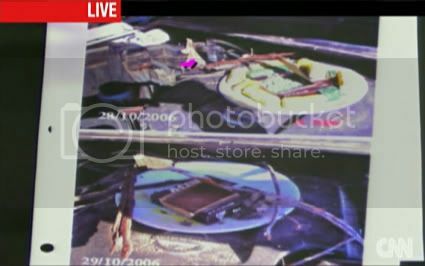 The other plated rat poison was taken in 2006, as the date stamps indicate, to track the activity of the rat infestation of Angel Valley vehicles. But there was another misleading statement by Mr. Duncan, which I did not address in my comment; that of the "implied immunity" of Michael Hamilton. I noticed the issue again this morning on In Session when they were replaying Do's cross of Hamilton. The only person who implied his immunity was Truc Do in one of her slipperier areas of questioning. Do: In your mind did you see that as a grant of immunity? Do you know what that means? Hamilton: Yes. I did not see it as a grant of anything. Do: Alright. Do you know what that means, first? Do: Okay, and in your mind, when the detective said, you're not under investigation criminally, uh, that didn't mean to you that you had immunity. Do: You did understand that you were not at all a target, correct? There's a very big difference between not being a target of an investigation and having immunity. Immunity means you could well be a target but that police and prosecutors are weighing that against the value of your testimony and choosing the testimony. They can make you immune from prosecution if what you tell them is useful and true. Do certainly knows this. I suppose there could be some value in determining whether or not Hamilton knows this, but mostly what that line of questioning does is confuse people into thinking that Hamilton was a possible target who was given immunity. See Duncan's article. Duncan was either confused by Do's cross or dishonest. One hopes the jury is not so easily confused by Do's verbal bombardment of this witness. If Duncan's article demonstrates anything it's that the defense's tactics work on some people. When Polk started her redirect, she went straight at the erroneous "implied immunity" issue. And it was clarified that the Hamiltons were not given immunity. They simply weren't targets of the investigation. They did not hire their attorney, either. Their insurance company did to protect its own interests. Polk also allowed Hamilton to clarify some of the issues regarding fees at Angel Valley. We learned that the entire facility is open, free of charge, to all for Sunday services. It is only retreat services that are charged for. Do had also implied that the Hamiltons were using bankruptcy to avoid paying their creditors. Hamilton explained under redirect that they filed a Chapter 11 bankruptcy, which does not vacate debts owed. It's simply a reorganization structure used by businesses that are trying to get back on their feet. They did not file a Chapter 7 bankruptcy by choice. 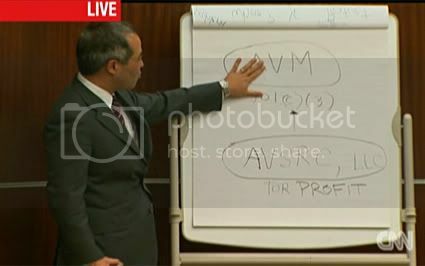 Polk also broke out easel and giant pad of paper and put it to its proper use; to clarify something for the jury. She also had Hamilton initial the result to validate its authenticity. What a concept. On the easel, she had Hamilton break down what pest problems they'd had in what years and what methods of pest control they'd used. Polk also addressed the destruction of the sweat lodge ceremony that has been such a bone of contention. Hamilton clarified that the police had released the scene before their ceremony. She points out that at that time Hamilton plenty of time to examine the coverings and note that they were the ones that he had purchased and always used. There was also more discussion of the wood, even though I should think it's really a mute point by now. It turns out CCA treated wood has been illegal since 2004, making many of Do's questions meaningless. Hamilton is quite clear about what wood was stored and where and what was directed to be be burned for the sweat lodge fire. Hamilton also explained that he knows of no one who got sick from the wood he sold off as firewood. No one complained but many reordered. Polk also clarified the building of the sweat lodge, including the fact that there are no industry standards to go by or inspect. (FWIW, Haddow said in his interview that he does zoning and a structure like that, with no floor, would not need to be permitted.) Hamilton explained again that David Singing Bear designed the sweat lodge and, after a struggle and a sidebar, Polk got it read into evidence that the specs came from James Ray. She bypassed the hearsay issue by having Hamilton read from his civil complaint against James Ray. The defense opened the door during cross by invoking that law suit, as per rule 106. In September of 2008, Angel Valley's general manager Gary Palisch contracted with David Singing Bear, a full-blooded Native American, to design and oversee the construction of a sweat lodge to accomodate seventy-five people, as per defendant's instruction. Michael Hamilton was dismissed subject to recall. Amayra Hamilton corroborated a lot, if not all, of Michael Hamilton's testimony. She also understands the wood issue well and she insisted that wood with metals or toxins would not be burned. Most of the original buildings were demolished when they purchased the property and the bulk of that was hauled off; not burned. She also corroborated the cedar logs were from an inferior grade of wood and most were unusable for construction. All but one pumphouse had to be made from a newer shipment of high grade pine logs and the rest of the cedar became firewood. None of it was treated. Amayra also explained that there are some people who barter work at Angel Valley for an opportunity to use the facility for their own growth process. She explained her commitment to a non-toxic environment. She explained that the garden is entirely organic and there are natural ways to reduce pests, like fencing it off to keep out the deer and planting some things that deter pests. (Marigold for instance? I'm just guessing.) And, like most organic farmers, she fully accepts that some of the produce will feed pests. The soaps and detergents at Angel Valley were all non-toxic, holistic products. Weeds were killed by the aforementioned saltwater solution and, she said, compost tea mixed with vinegar and essential oils. Other weeds are pulled. The rodent problem was addressed mostly with traps and cats and it was in 2006, when they were temporarily catless, that the rat infestation occurred. 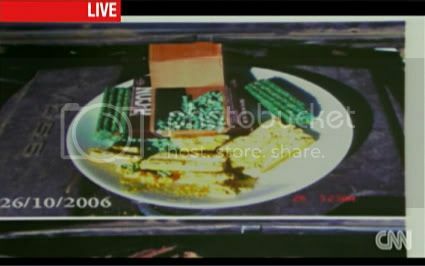 This is when they introduced the plates of toxic treats pictured above. The still used the biscuits in facilities like the pumphouse, where the cats can't gain entry. Amayra's testimony was most dramatic when she talked about the sweat lodge incident. She had been around a little before and for a while after it started but she found that it didn't resonate for her so she left. What of James Ray's pronouncements specifically didn't resonate? I am the alpha and the omega. I am God. So, I guess Fawn Foster was not the only one heard that particular gem. Amayra came back near the end of the sweat lodge to find Fawn Foster in a highly emotional state and saying things like, "Something is really wrong here. This is not right." The defense pulled out all the stops to prevent her from repeating what specifically Foster told Amayra was so wrong, but she was able to explain that she calmed Foster down by explaining that if it were true, the people inside were going to need their help when they came out. This, of course, turned out to be true. Amayra described what happened when people came out after the final round as being "the worst thing" she had ever seen. It was "total chaos." She described people who were coughing and vomiting and unable to breath properly. Most people could not get clear of the sweat lodge by their own power. Many had to be dragged out. Amayra, like pretty much everyone except for James Ray, jumped into action. She grabbed towels from the baskets her staff had provided for the participants. She got them water. She helped people get off the sand and onto the tarps. Amayra wasn't terribly aware of Ray's activities. He was standing erect and didn't need help. She saw him taking refreshment, sitting in a chair, under the shade of the canopy of the comfort station. When she heard Debbie Mercer yell that they needed to call 911 and get into a golf cart to head home, Amayra also grabbed a cart and headed in the other direction back to one of the main buildings. She called her husband -- probably to tell him that Ray "did it again" -- and then called 911. Learning from the operator that they already had someone else on the line, she hung up and went to find a retired nurse who volunteers at Angel Valley and is on their board. Amayra also explained that the medical personnel remained in the dining hall for many hours treating people who hadn't gone to the hospital. Many of them had to be rounded up because they'd gone back to their rooms. 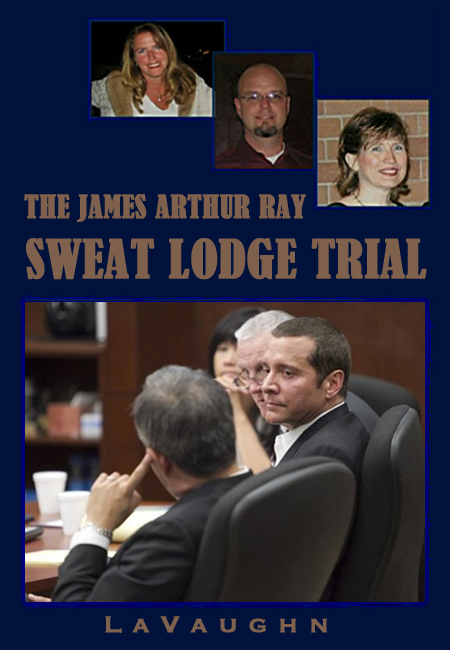 As we know, James Ray had directed people who could, to vacate the sweat lodge area. This necessitated a search of the rooms to make sure there was no else who needed medical help. The Hamiltons had also extended participants an invitation to stay an extra night to recuperate. They were also invited to participate in the ritualized destruction of the sweat lodge structure. Amayra confirmed that the police had released the scene and were made aware of their intent to destroy the structure. The sweat lodge area was turned into a memorial site, which they now call the Garden of Transformation. It's a place to meditate and contemplate issues of life and death and to heal. One of the devices the defense uses is to start with a lecture on some facet of how honest testimony is important and have the witness agree that, yes, honest testimony is a good thing. Then they try to point out some area where the witness has failed that honesty test in their direct testimony. They were sloppy, or exaggerating, or something along those lines. I can't help thinking that starting off by insulting a witness might not be the best plan, but it's their plan and they're sticking to it. Today it was Li's turn to insult Amayra Hamilton, which he did by asserting that she might not know the difference between things she'd actually witnessed and assumptions. She disagreed, of course. He also explained that this included hearsay testimony. Now Amayra was just confused because, "What I hear is not an assumption for me." No kidding, huh? But she assured Mr. Li that she would only testify to things that she saw or heard herself. By way of example of Amayra's tendency to assume, Li got out the wood log sample from police evidence. He pointed out that she had testified they wouldn't burned wood that had nails in it. Lo and behold that sample log had a nail stuck in it. So, fair enough. Not every piece of wood can be thoroughly inspected. Things slip through the cracks. Stating that the general rule for wood being nail free true one hundred percent of the time, is an assumption. Even Li admitted it was trivial. I think if they'd found lots of melted nails at the bottom of the fire pit, we all would have heard about it. But fair enough; score one for Luis Li. Li also tried to score cheap points by putting the Hamiltons' spiritual beliefs under a microscope and scrutinizing their financial structure. For this, a chart was needed. You can see above just how complex the chart needed to be and why it would require a good 20 minutes of discussion. Amayra explained why the funding is necessary to keep the ministry afloat. She also explained they have never been able to make it self-sustaining which necessitated their bankruptcy filing. Li then questioned her extensively on their rates for different services. I'll save time by explaining that their rate structure for all types of consultations is the same: $111 per hour and $144 per hour and a half. The rates for their retreats vary somewhat. I really thought that Li was only asking these questions to prejudice the jury against the Hamiltons for charging for spiritual services and for having wacky, new age beliefs. I still think this is a risky proposition given who they are defending and that, like it or not, the "business" retreat Ray was charging nearly $10,000 for was called "SPIRITUAL Warrior." I was wrong, though. That's not the reason Li was pecking away at the Hamilton's rate structure; at least it wasn't the only reason. He was trying to backdoor a document that Truc Do also tried to get into evidence last week. Today he dramatically recalled that, oops, he'd forgotten about a document that listed all their rates and services. Why he had it right to hand all along. And he tried to move it into evidence. Bill Hughes asked to voir dire the witness. He asked Amayra whether that document was a contract between them and Mr. Ray. It was, of course, not. It's a "terms and conditions" document that is the starting point before they hammer out a more specific contract. Hughes's objection to its admission was sustained. "I'll walk away from this in a second," said Li. Then he tried again to move it into evidence by clarifying that it's their general form for every group as a starting point. Hughes asked to voir dire the witness again. Amayra clarified under questioning that they could not have referred to that document when they were negotiating the contract with Ray because that particular document wasn't created until 2009, after their contract with Ray was already done. Hughes's second objection to putting it into evidence was sustained. Do, as I said, pulled the exact same stunt last week. After reading Haddow's report, it's clear why they're so hot to get this in. It says on there that they have a sweat lodge to accommodate up seven-five people, as discussed above. I believe Hughes successfully blocked this for today. But, CNN had a few technical glitches that caused me lose chunks of testimony today, so I can't be a hundred percent sure. I'm sure it will come up again anyway. It's clear the defense is pretty determined. There were a number of obvious stunts today that caused me to almost be impressed by Li's acting ability. At one point he asked her about the nylon weed barrier and indicated that Michael Hamilton had described it that way. This was, of course, a lie, and Hughes's objection was sustained. But Amayra caught it and clarified that she did not believe it was nylon and that it was a breathable material. Li also learned, to his disappointment I'm sure, that Amayra is also quite clear about what wood is burned. She's also clear that what scraps of pressure treated wood are left over specific construction projects are disposed of properly. He asked if she was concerned about Ted Mercer's police interview in which he was concerned that treated wood had been burned. Her response was really brilliant. She explained that she knew was upset and reaching for any explanation during that interview. It didn't concern her at all because she knew full well that pressure treated wood would never have been laid aside for firewood. Li was probably at his most comically wrong when he implied that Amayra had sought training in handling the media and that this was why she was media savvy enough to know to give an interview to the Associated Press first. She had taken a class sponsored by the Chamber of Commerce on how to handle the media in the event of disasters. He insisted that she had learned her "talking points" from Alison Zelms who instructed the media training seminar. The problem is that this seminar was in August of 2010, almost a full year after the sweat lodge incident. This didn't stop Li from talking for another fifteen minutes about all the media interviews she'd done in the aftermath of the tragedy and with what networks. Surely this represented her coached media savvy. He continued to insist that Alison Zelms, whom she barely knew, had coached her in talking points. It's a long time to talk about information you're a year off on. Then Li demonstrated his own lack of media savvy by trying to demonstrate that she did an interview with NPR after jury selection started for the trial. Apparently he's never heard of pre-recorded interviews. Also wrong was Li's assertion that the Hamilton's took down the sweat lodge before the city could inspect it; well it was wrong in the sense that no one from the city had asked to inspect it. If they had, she explained, they would certainly have waited to take it down. This did not stop Li from insisting that they had taken it down before the city could inspect it, which is technically true. Well, in the same sense that it's true that I purchased a new dress before the fairy tale prince asked me to the ball. The smarmiest stunt today, though, was when he started waving around a container of ant poison he picked up at the hardware store, which contains organophosphates. It's not a brand that has ever been mentioned as having been used by the Hamiltons. Amayra was quite sure it was something they would not have used. But, Li insisted, the she couldn't possibly know what their employees or volunteers might have picked up at the hardware store and used could she? That's right. Their employees and volunteers, like Fawn Foster or the Mercers, would use their own meager resources to by ant poison for the Hamiltons. Sure. This stunt was on a par with Colin Powell waving around a vial of salt and announcing to Congress, "Less than a teaspoon of dry anthrax..." You know the rest. I have to admit that I was a little taken aback at some of Li's tactics today. It was filled with blatant misrepresentations and straight-up lies and I don't think Hughes caught them all. People who can lie that casually make me nervous. 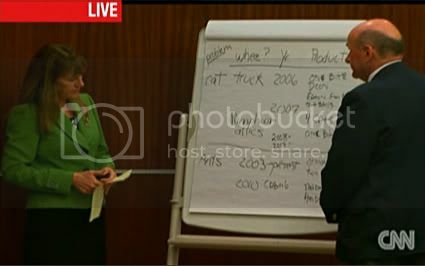 He scored a few points, like the nail in the wood and pointing out that the dates of the 2006 rat poison photos were digitally added to the photos -- which matters not if the dates are verifiable, and they are. But mostly it was just a stream of distortions and verbal tricks, few of which Amayra Hamilton fell for. Li is a smoother liar than I realized and that's not a compliment. Another excellent synopsis. I refreshed your page at least 20 times this morning looking for this. Yes, "smarmy" indeed. He also seems so jittery and hyper, it makes me nervous just watching him--compared to the calm steady manner of everyone on the State side. The jury must be picking up on this in person...it's very uncomfortable! Once again, great post. Seems to me like the prosectution should be objecting a lot more than they do. They do come in and "clean-up" really well but wish they wouldn't let the defense get away with so much.